The Chula Vista Heritage Museum is a branch of the Chula Vista Public Library and is supported by the Friends of the Heritage Museum, a chapter of the Friends of the Chula Vista Library. Its mission is to preserve and promote Chula Vista's history through photographs, artifacts and educational activities. 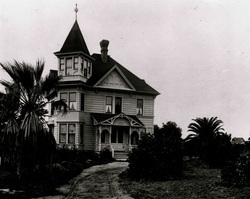 The museum operates in partnership with the South Bay Historical Society. A section of the Civic Center Library has been dedicated to showcase the city's rich history. Fronterizos: A History of the Spanish-Speaking People of the South Bay, San Diego is the focus of the new exhibit in the Chula Vista Heritage Museum’s space inside the Civic Center Library branch, located at 365 “F” Street. This exhibit follows the Rohr Corporation exhibit, which opened January 29, 2017, and closed January 21, 2018. 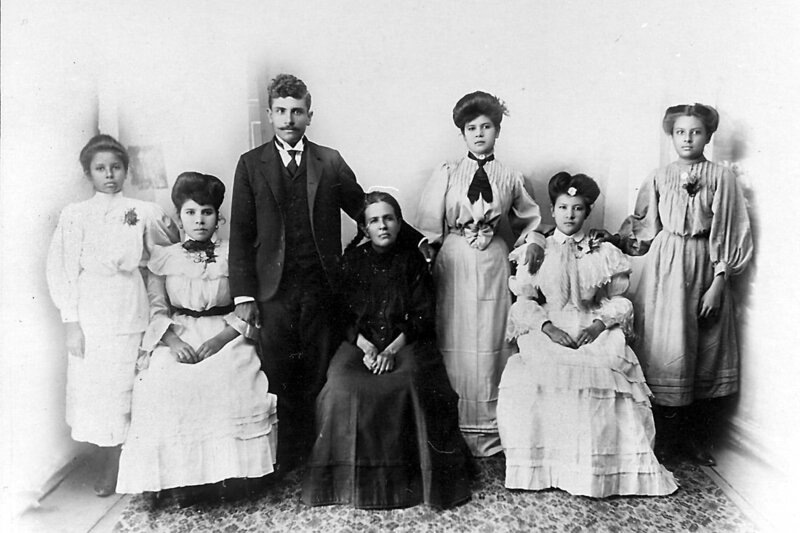 This exhibit, by local historian Barbara Zaragoza, presents an oral history of the Spanish speaking peoples of South Bay, San Diego, and sheds light on citizens’ contributions to the community. This history focuses on the cultural heritage of the majority of residents in this region. The South Bay will be seen within the larger context of Mexican-American history, including: the Portolá Expedition, the land grants to the first families, the great immigration during the Mexican Revolution, the Otay Valley farmers and labor strikes, jockeys and card dealers during Prohibition days, contributions of service members, and the Chicano Movement of the 1970s and 1980s. The museum exhibit, catalog book and website will highlight historical achievements of Latinos in education, politics, art, sports and community activism. “The goal is to bring the community together to share common ground and enlighten one another, surprise and provoke, and educate visitors and school groups on the remarkable history of our rich community,” said Zaragoza. ​ The exhibit is funded by the Local Heritage Museum Chapter of the Friends of the Chula Vista Library, a Community Enhancement Program Grant, via Supervisor Greg Cox, from the San Diego County Board of Supervisors, and a grant from the City of Chula Vista Visual and Performing Arts. Click here for more about the exhibit. 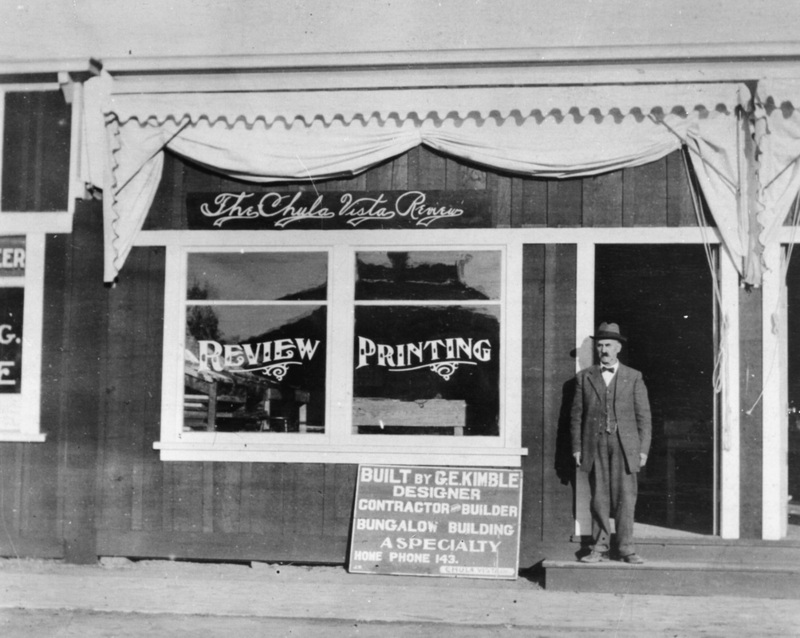 What was the big news in Chula Vista 100 years ago? Library patrons now have a chance to read all about it, as the library has digitized local newspapers dating from the city's founding in the late 19th century. Beginning with the 1889-90 editions of the Otay Press, a total of 199 microfilm reels are available on computer. The library has a nearly complete set of the Chula Vista Star-News dating to 1938, which has also been digitized. Visit the library's local history page by clicking here. Interested in Chula Vista History? The board of the Chula Vista Heritage Museum, which is a chapter of the Friends, has partnered with the South Bay Historical Society to oversee Museum operations and periodically launches exhibits on local history at the Civic Center library. Steve Schoenherr, who heads the historical society, is also president of the museum board. He wrote a book on the Chula Vista Centennial. 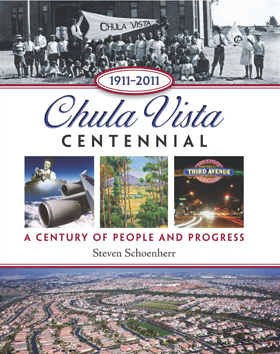 Copies of the book, Chula Vista Centennial: A Century of People and Progress, are available for sale in the Friends' bookstore at the Civic Center Library, along with other local history books. The SBHS is a 501(c)3 organization founded in 2013 to preserve and promote the history of South San Diego County, from National City to the border. Click here for more information. And Explore Chula Vista's Historic Homes, Parks and People? Want to learn more about Chula Vista's historic center? City Council member Pat Aguilar has created a short video on the history of Memorial Park. Another video takes a look at two of Chula Vista's historic homes. For those interested in learning more, a book featuring several of Chula Vista's historic landmarks is available for sale at the Museum. And a website created by the Historic Homeowners of Chula Vista explores Chula Vista's architectural heritage, from orchard houses and Craftsman bungalows to buildings in the Spanish revival and Art Deco styles. At left is the historic Cordrey House on Davidson Street, just west of Second Avenue. Read about famous Chula Vista historical figures in short booklets written by Jeri Gustafsson of Altusa International, Inc. of Chula Vista. These books were written in conjunction with the Chula Vista Elementary School District and in cooperation with the Chula Vista Centennial Committee. Click on the links below to download each volume.